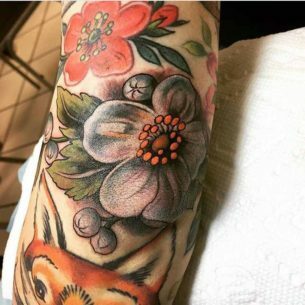 Dwelling upon such an interesting and popular phenomenon as elbow tattoos, it would be interesting to know for a lot of tattoo lovers, how painful it is to make one and their practical and aesthetical sides. 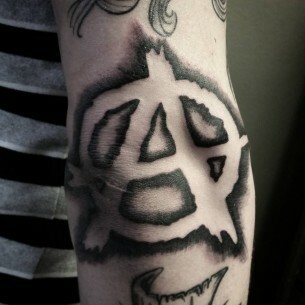 Also, it is good to know the most common designs usually placed on elbows. 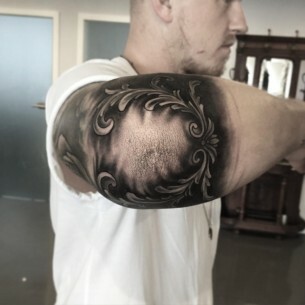 However, the first thing worth mentioning is that an elbow tattoo is a mainly recommended for men. It does not look the same good on girls. 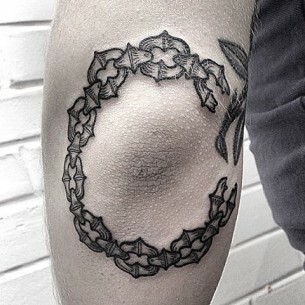 To make and elbow tattoo is quite the same painful as to make one on a knee, probably with some slight differences. The skin in that area is quite thin and is very close to a bone, that’s why it can be rather painful but not so much. 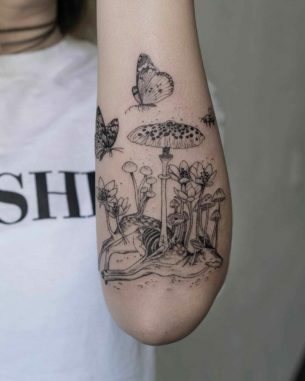 If you are thinking of a star or spider tattoo designs, take into consideration the sophistication of drawings, as it will directly influence upon the duration of the session and painful feelings. 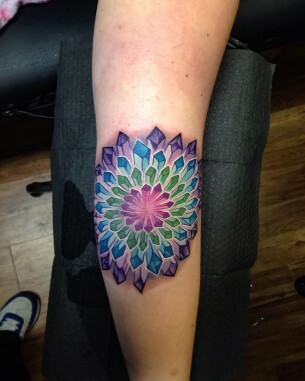 The beauty of tattoo would depend mostly on the experience and skill of the tattoo artist. 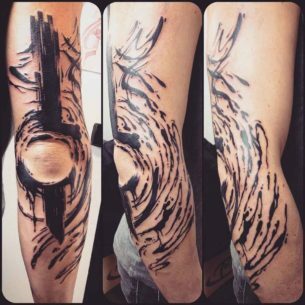 The elbow is a moving are, where the skin is very stretched. 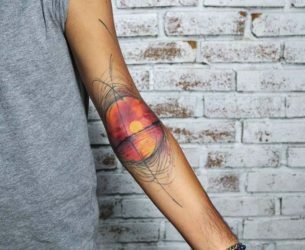 That’s why it is recommended for a tattoo design to be placed on the edges, to create some sort of a frame for an elbow or to make it colored completely. 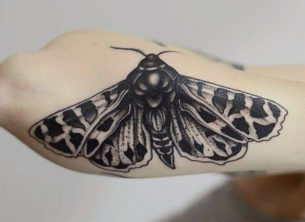 At the same time, it wouldn’t be a good idea to make a complex or realistic tats in this area, like animals, dragons, portraits and others. Your designs of choice should be simple and geometrically obvious ideas – ornaments, stars, minimalistic designs. The fact that a shape of an elbow slightly differs from person to person is also a thing of a great importance that one should always mention beforehand. It can be flat, rounded, sharpened or even consist of two halves. 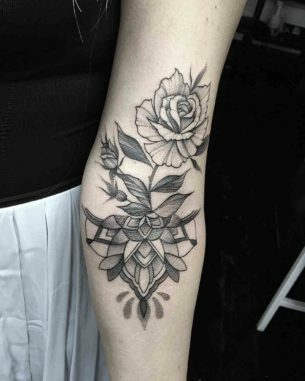 The flat elbow is an ideal spot for symmetrical tattoos. One of them is a star, an old symbol, found in all cultures and religions. 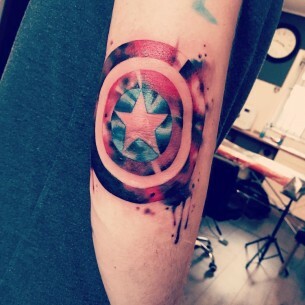 It has a huge range of meanings and interpretation, a star can be used as a symbol of luck and prosperity, which by the way, contributes a lot into huge popularity of star tattoos. 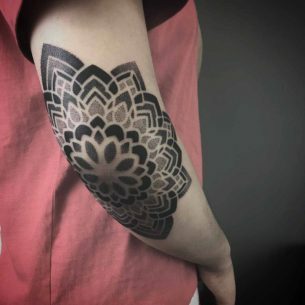 Spider web tattoo on the elbow is not less popular than others. It means standing your ground and faith following your own ideas. 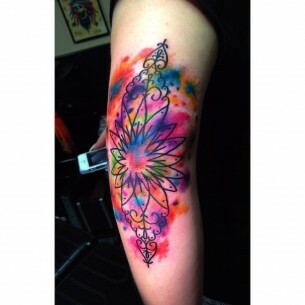 Spider web is always associated with a spider and sometimes goes along with it in a tattoo design. 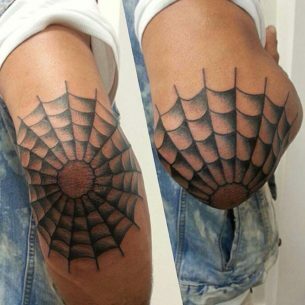 A spider is a symbol of wisdom, fear, creativity, and mysticism adding this way new shades of your elbow spider web tattoo. 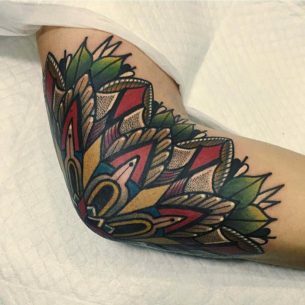 So, elbow and inner elbow tattoos are a very cool and interesting placement solution. Of course, it comes in a package with a lot of pain, however, it is worth the impact such body drawings make of surrounding. 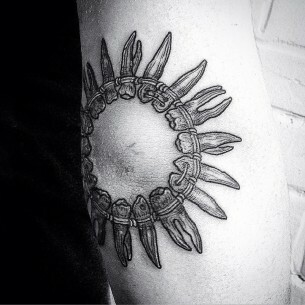 Elbow tattoos are usually performed in traditional or old school styles, that’s why all tattoo designs are predictable. 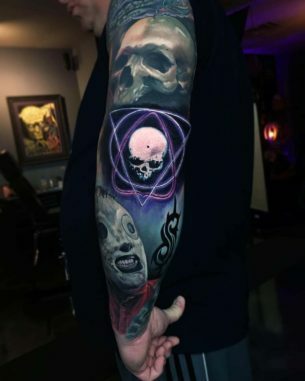 We did our best to show all the variety of elbow tattoo ideas.